Bus transportation is available from Capitola/Soquel, Aptos, Santa Cruz, Scotts Valley, Los Gatos, Willow Glen and Campbell. Want to add a new stop? Please contact us with your suggestions. Stops can be considered for Summer 2019. Each of our yellow school buses bears a Kennolyn sign and is staffed with a cheerful counselor wearing a Day Camp t-shirt. 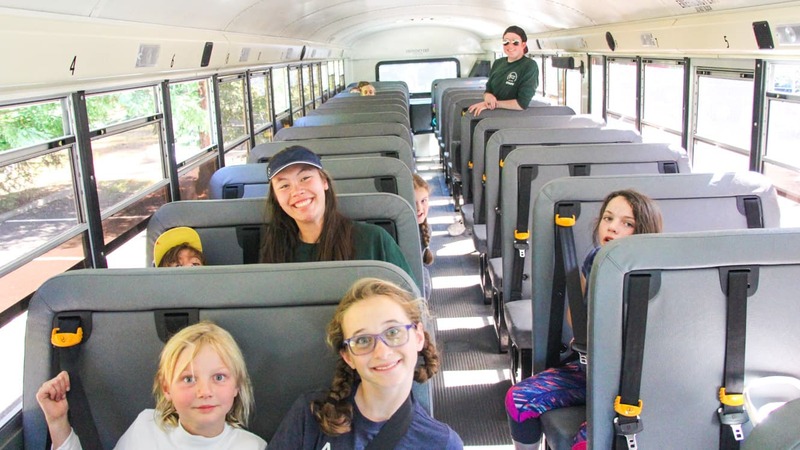 Bus counselors will check campers in each morning, ride the buses to camp with them and finally help them find their group counselors upon arrival at camp. 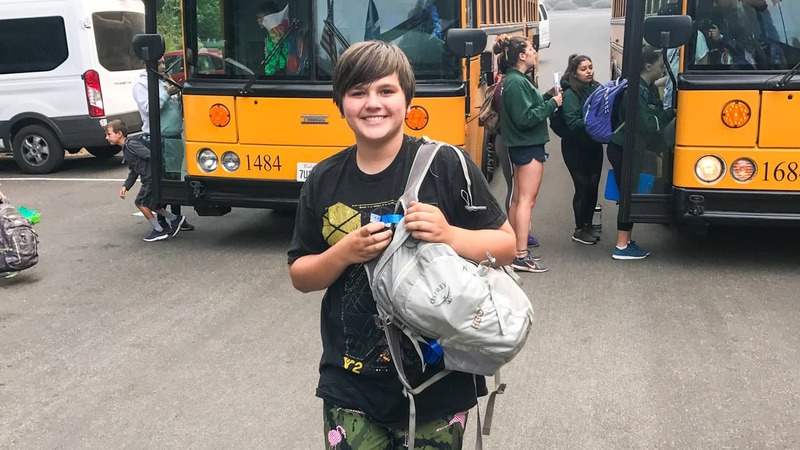 At the end of the day, the same counselors will accompany campers on their return trips to the same bus stops, where they check campers out to parents or guardians. Day Camp truly starts on the buses! Our campers sing songs, tell jokes and make friends with their bus mates. They also work with their bus counselors to develop original cheers to share with the entire camp during closing circle. Buses arrive at Day Camp each day at 9:15 AM. Buses depart camp at 4:00 PM Monday through Thursday, and at 3:00 PM on Fridays. FREE Transportation from the Soquel stop! 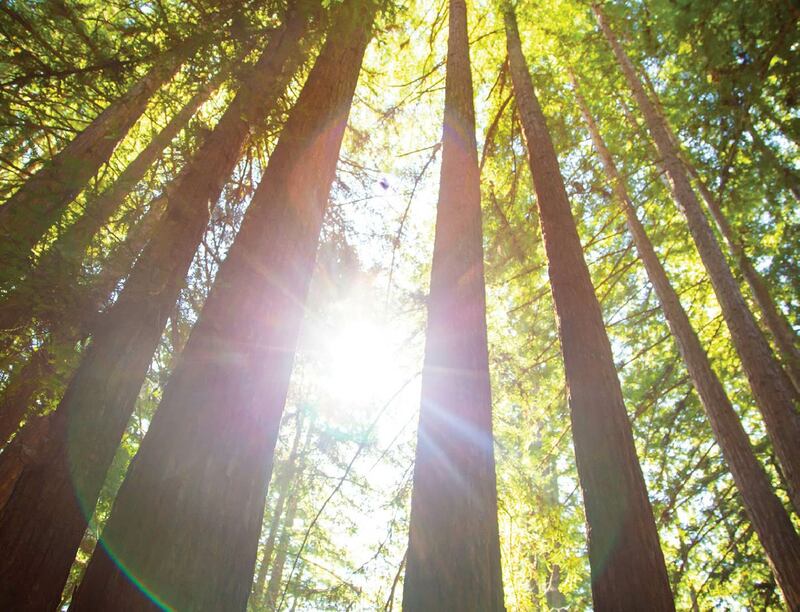 $25/wk transportation fee for other Santa Cruz County stops and $75/wk for non-Santa Cruz County. $15 for Mini Camp. Please make sure to let us know which stop you would like, or whether you are planning to drive. You can log in to your online account to choose your transportation, give us a call at 831-476-6714 ext 449 or email camps@kennolyn.com.